Hello friends, Today I will tell you a method on how to stop Google Play services battery drain. You can fix all kind of issue related to the battery drain problem on your Android Phone. 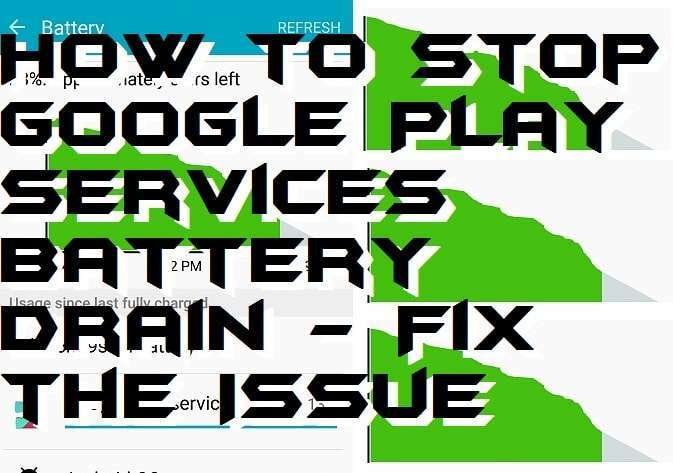 This method will fix Google Play services battery problem. You can increase the stability of your battery by doing this method. This method will improve your battery working, and you will lose negligible battery on Google Play services. You can easily stop and fix Google Play Services battery drain issue. In this article, we are going to learn the best and easy way to stop Google Play Services battery drain issue. However, it is common that an Android user faces this issue and also at any time. But, the sad part is you can not uninstall the Google Play Services from your Android smartphone. Though, you have to fix it is you want or not. Basically, Google Play Services battery draining problem is a major issue because the battery is the thing which almost every Android user needs and that thing is got damaged by Google Play Services. So, we will check out the fantastic way to fix Google Play Services battery drain. Let’s go through it below. Why Google Play Services Battery Drain Occurs? Have you ever think about why Google Play Services battery drain occurs on our Android smartphone? Well, don’t worry I will discuss something about it in this paragraph. Also, it is necessary for us to better understand that why Google Play Services battery drain occurs so that we can fix it easily. Basically, this problem is occurred by the Auto-Sync data functionality. This functionality uses much battery because it has to automatic synchronization of the data from your Android phone to Google Play Servies. Thus, it needs some amount of battery and because this is a heavy task so that battery consumption increases day by day according to the data size. Hence, this is the reason why Google Play Services battery drain occurs. Now, let’s move on to the next topic. It’s the time to fix the Google Play Services battery drain issue on any Android smartphone. I have the solution to this problem which you are facing. I know that Google Play Services eats much battery life so that I have mentioned some steps which will help you in fixing the Google Play Services battery drain issue. However, there is no need to install any kind of third-party Android app. Just head up to the setting of Google Play Services and that’s all. So, without wasting time lets get on to it. 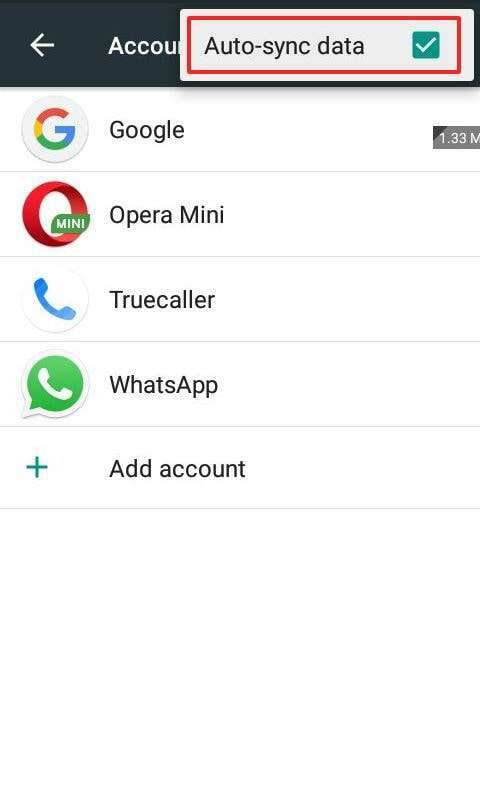 Go to the Settings on your Android phone. 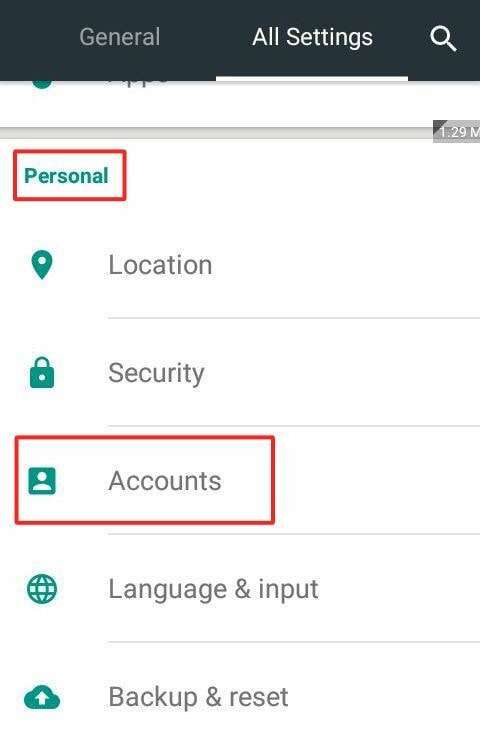 Now, In the Personal section click on Accounts tab. Then, in the top-right side click on the Menu button. Now, you will see that Auto-sync data is checked. Simply, uncheck it to fix this issue. That’s it. In this way, we can easily fix the Google Play Services battery draining problem which is faced by almost everyone who uses the Android smartphone. We just now saw the best and easiest quick guide to solve the Google Play Services battery drain issue. It is obvious that you face this issue on your Android smartphone. But, don’t worry the solution is here. I think if you were searching for the solution of Google Play Services battery draining problem then this article found to be helpful for you a lot. However, it is also possible that using this method you still face Google Play Services battery drain problem on your Android phone. So, try to update your Google Play Services and also try to reboot your Android phone. I hope this way you can solve your issue. Share this article with your friends also so if they will have the Google Play Services battery drain issue then they can solve it very easily.